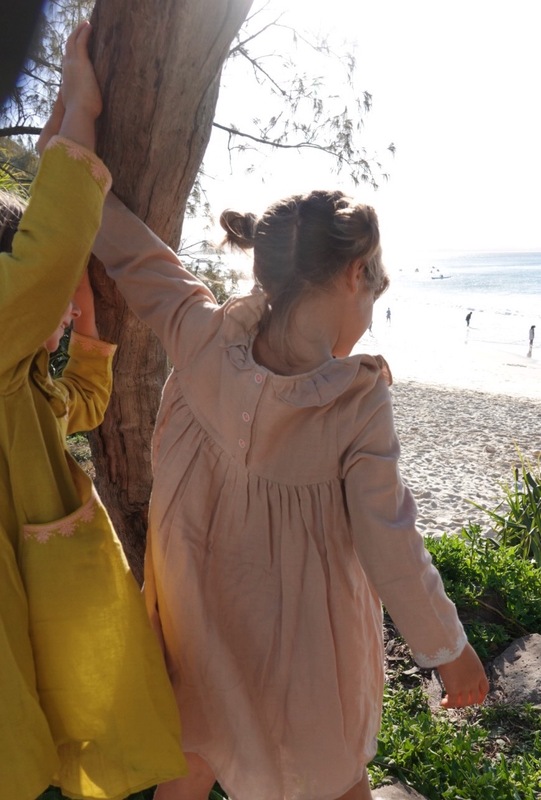 Okay, okay… I will admit straight away that these photos are not very Autumn/Wintery with the beach as our backdrop, and with barefoot children as my little models. : ) But, this is exactly what I love about the Louise Misha brand: the pieces are beautiful and cheerful, despite the season. This is the new Louise Misha Autumn/Winter collection, and there’s not a dark, heavy colour in site. Instead, you have beautiful colours like dusty pinks and beeswax yellows, all with bright accents like embroidered floral patterns and bright pink tassels. 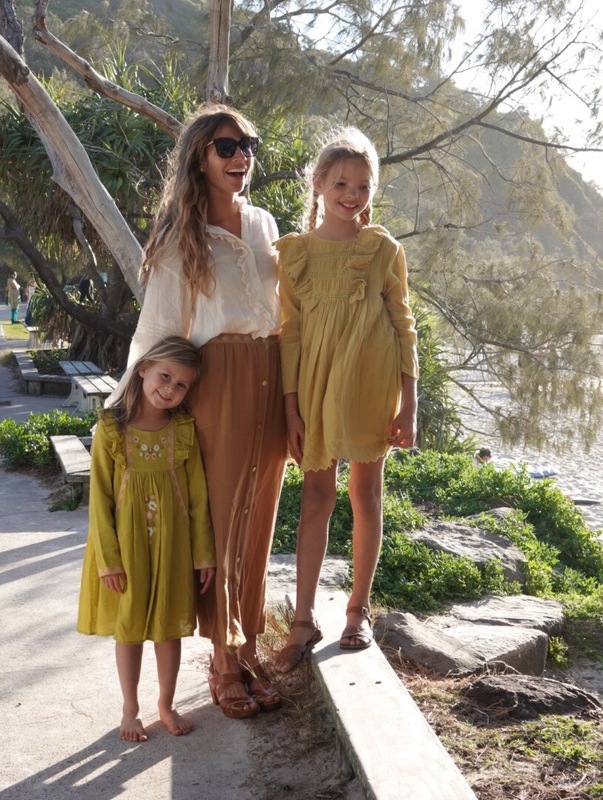 This pretty, bohemian style fits in so well here in Byron across all seasons. I was recently in touch with Marie Pidancet, the brand’s designer, and she explained the inspiration behind this current collection. She told me she designed this collection following a road trip across Eastern Europe with her husband and 5-year-old son. They travelled from Venice, Italy to Romania, by way of Slovenia and Hungary. Marie fell in love with the traditions and crafts from each country and was particularly moved by the fact that even in winter when the days are dark, they still have a lot of flowers, embroideries and vibrant, happy colours. This trip offered so much inspiration to Marie, and it’s evident in this beautiful new collection. 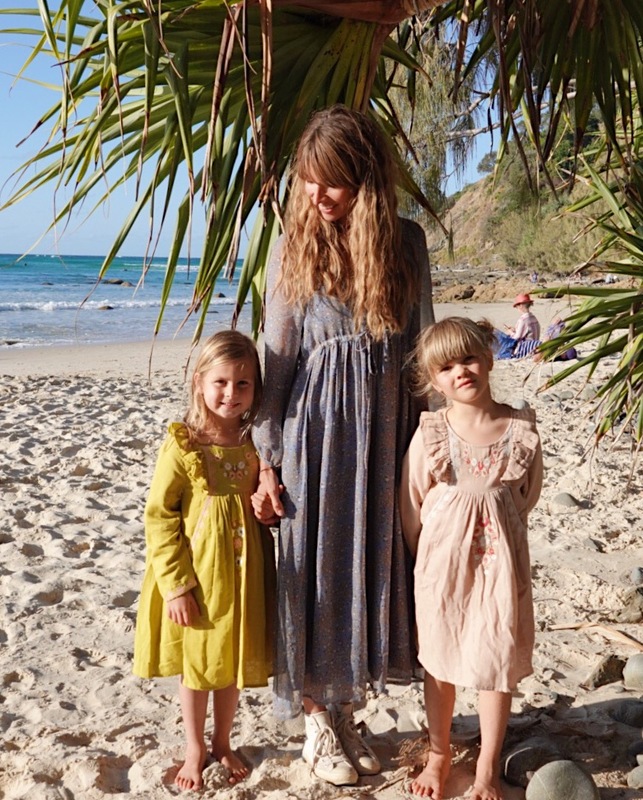 Louise Misha doesn’t just offer beautiful pieces for little girls, they also have the most dreamy collection for women too. Honestly, there isn’t a single piece in the women’s collection that I wouldn’t love to own. You’ll find dresses, skirts, and beautiful blouses, all with delicate details that make them extra special. 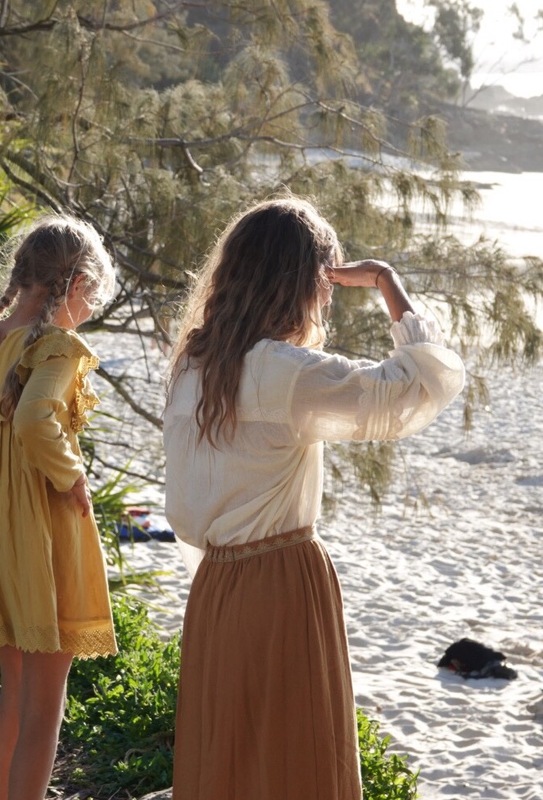 In the photos above, I’m wearing the cream Ilonka Blouse with the camel-coloured Dorota Skirt, as well as the Drita dress and the Lora pullover. For colder weather, it’s all about layering to stay warm. I love the knit sleeveless jackets for little girls, to be worn over long-sleeved dresses. And the beautiful hooded capes and embroidered cardigans. Everything is just so… happy! Gorgeous! Love the women’s line, too — so feminine. Would you mind sharing what size you are wearing, Courtney? Just to get an idea of how a XS or S fits on a petite frame? (I think we are around the same size.) Thank you! Such beautiful pieces, I’d love to wear each one! Maybe I missed it, but where are your adorable clog/sandals from? They look comfy and so cute! Where are your white shade shoes from? Such pretty clothing! 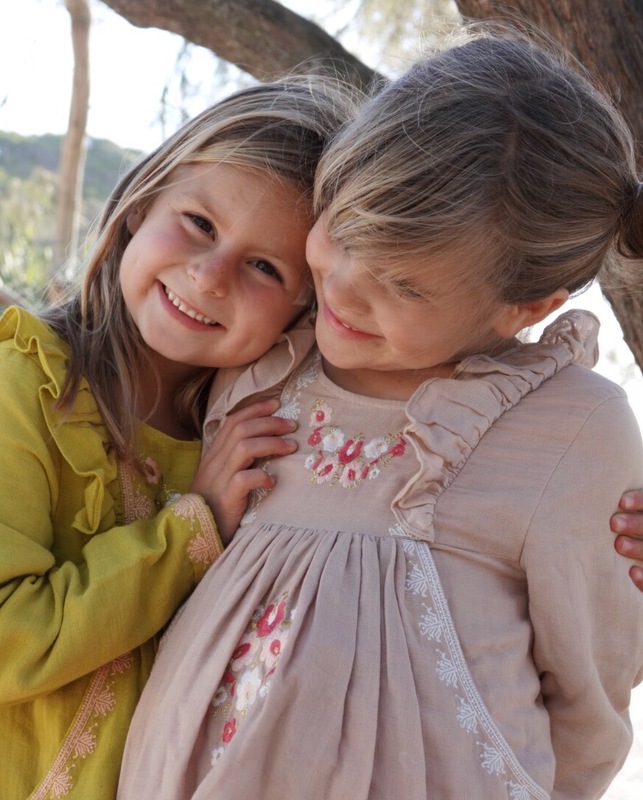 The children always have so many beautiful clothes. How do you keep a minimal and simple wardrobe for them when there are so many wonderful new seasons of clothing from independent labels coming in the door? I struggle with this area so much. Would love to see a blog post on wardrobes for children. What is enough and when is it just too much?